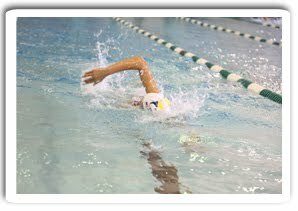 All swimmers should check-in and begin warm-ups no later than 9 a.m. each day (except Wednesday, when warm-ups begin at 1:00 p.m.). Competition begins one hour after warm-ups begin. All events take place at the Rockland Community College Fieldhouse. The following is the results for swimming from August 13 - 15. Please click here to view all swimming results.